Several presidential aides continuously intervene in the government’s diplomatic activities by establishing their own networks and with out coordination with the foreign ministry. Eritrean President recently warned such “special interest groups” from nudging Sudan into a futile conflict with Eritrea [and Egypt]. Foreign Minister Ibrahim Ghandour had resigned to protest interferences in his diplomatic activities last week but he withdrew it after the intervention of the first vice president, press reports says. Al-Sudani newspaper Monday reported that FM Ghandour had presented his resignation to the President Omer al-Bashir who accepted it last week. However, the minister changed his mind and accepted to remain in his position after the intervention of leading government members, the local newspaper said. However, Al-Tahrir website, which is close to the opposition National Umma Party, quoting an unnamed source, said that Ghandour complained in his letter of resignation from interference, in his work of “leading government members who exercise similar tasks”. According to the sources, the First Vice President Bakri Hassan Saleh, who is also the prime minister, and Mohamed Atta, the National Intelligence and Security Services (NISS) Director, convinced him to withdraw his resignation after meeting him at his home on Thursday 11 January. Several presidential aides used to intervene in the government diplomatic activities and establish their own networks without coordination with the foreign ministry. This growing interference was visible during the foreign ministry efforts to cancel the U.S. economic sanctions on Sudan when the former director of al-Bashir’s office Taha Osman travelled to Washington and met a number of officials and lobbying firms there. Ghandour, also, was bothered by the appointment of the former oil minister Awad al-Jaz as Presidential Assistant for Chinese Affairs. After that, his attributions are expanded to be the head of a presidential committee tasked with the relations with BRICS countries: Brazil, Russia, India, China, South Africa. Further, after the recent visit of President Recep Erdogan, al-Jaz has been charged with the Turkish affairs. The attributions of the presidential assistant include the political and commercial sides. Ghandour recently declined to appear before the parliament to explain the role of his ministry in the relations with these countries. 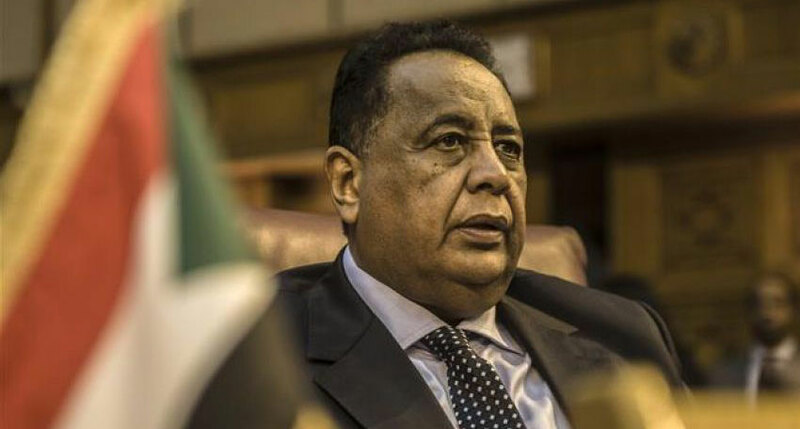 During a press conference with his Ethiopian counterpart last Sunday, Ghandour brushed aside statements by Presidential Assistant Ibrahim Hamid who spoke about Egyptian and Eritrean threats to Sudan. “Sudan is not talking about military build-up from a particular country, but a threat to its security from the east,” in allusion to the presence of Sudanese rebel groups on the Eritrean side. Diplomatic sources say Ghandour does not support escalation with Egypt, while other senior officials want the adoption of a hard-line with Cairo particularly after a severe press campaign by the pro-government media in Egypt against President al-Bashir after the visit of the Turkish president to Sudan.